Maarten Stolk is founder and owner of the Dutch start-up Enjins. Enjins is one of the leading Machine Learning companies in the Netherlands. 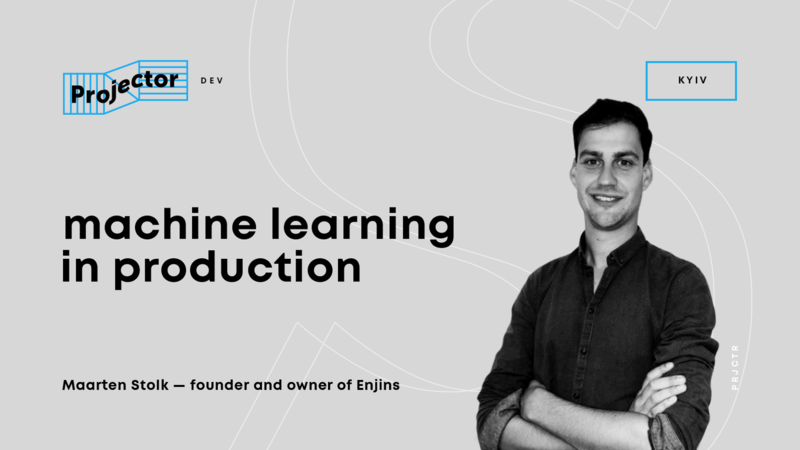 The team of Enjins helps Dutch companies to transform their core business to ML-driven processes, by building ML models in production. Maarten has 10 year experience in the field of Machine Learning and Data Science, and currently leads Enjins. Before founding Enjins, Maarten worked in several places both in the Netherlands and Brazil to transform companies, making use of ML to transform core business processes. The lecture is aimed to inspire the audience with the power of Machine Learning. The lecture covers a step-by-step approach to build Machine Learning Engines in production. Maarten goes through 2 use cases at clients to show how he transformed companies in the Netherlands. This event has been оrganized with the support of Moqod. — Lessons Learned over the past 10 years. This event will be interesting for general crowd who want to hear about the practices and process of Machine Learning. Knowledge about statistics or programming is not required, though basic understanding of the application of Data Science is assumed.